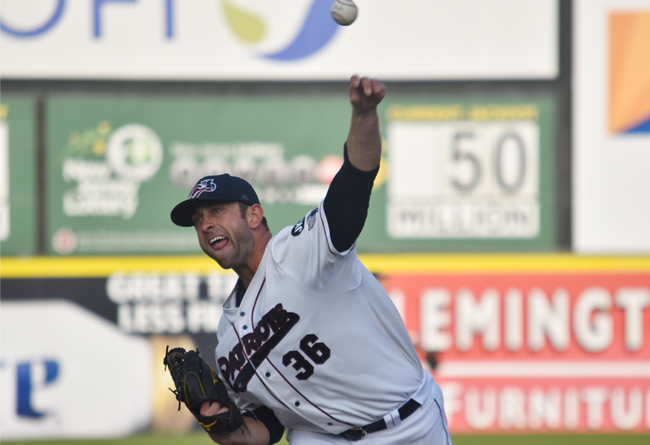 (Bridgewater, N.J., March 13, 2019) - The Somerset Patriots today announced that two-time Atlantic League All-Star left-handed pitcher Duane Below has been re-signed for the 2019 season. The Britton, Michigan native went 5-1 with a 2.88 ERA over 62.1 innings pitched as a reliever in his first season with the Patriots. His 46 relief appearances ranked third on the Patriots in 2017, while his ERA led the team among pitchers with at least 25 appearances. Additionally, Below struck out 58 batters against just nine walks.